Ardamez • Blog: Preparation for SERBOTEL exhibition in Nantes! Specialist of outdoor furniture, Ardamez provides hospitality professionals, designers and architects with its know how worldwide, offering high quality products custom made in France. Its star product, the genuine French bistro table, is still made with materials that made its success - enamel steel, brass, stainless steel and copper - and the original machines used since 1954. Preparation for SERBOTEL exhibition in Nantes! Just returned from the “Mondial de la bière” in Mulhouse, we are preparing our next event that will take place in Nantes this time! 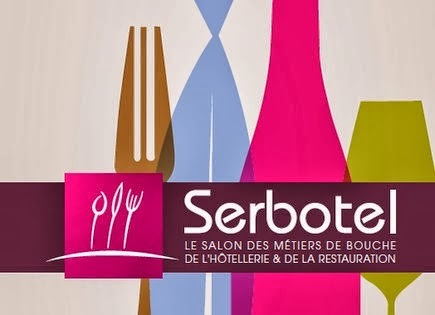 We will be presents at the SERBOTEL exhibition from the 20th to the 23rd October 2013 at the exhibition center of Nantes. The SERBOTEL exhibition is the reference when it comes to talk about food specialists, hotels and restaurants. We will expose our enamel bistro tables and outdoor signboards. We will expose our products with our friends from the Vendée Brasserie Mélusine. You will have the pleasure to taste traditional beers from the region around our enamel tables, made in our workshop in Nantes.